Outdoor News August 31, 2018 - Explore! Outdoor News August 31, 2018 - Explore! On Tuesday, the International Mountain Bicycling Association (IMBA) announced awards in its first round of Trail Accelerator grants to three recipients. IMBA’s Trail Accelerator grant fund is a competitive grant offering for communities with visions for model trail systems that need extra support to realize that vision of more trails close to home. Awardees provide matching funds and receive professional trail planning and consultation services from IMBA Trail Solutions to launch trail development efforts, which can often help leverage more interest and investment for community trail projects. All three projects have the potential to transform nearby communities through trails, leading to increased local access and offering health benefits to residents, while having opportunities to expand into larger, destination-worthy trail systems. IMBA thanked the Walton Family Foundation for underwriting the program and REI for its support. Look for dates on the next application period for Trail Accelerator grants later this fall. Learn more about criteria and eligibility for the grants on the grant webpage. President Trump has proposed adding an additional 10 to 25 percent tariff on imports from China, including certain outdoor products, in response to China’s intellectual property practices and forced technology transfers. These additional taxes on backpacks, sports bags, kayaks, leather ski gloves, headwear, camp chairs and other products could significantly raise costs for outdoor companies and consumers, impede job growth and innovation and prevent more Americans from enjoying the outdoors. What is the impact on your business and how should your business respond? A rockfall came down on Hidden Canyon Trail in Zion National Park on Tuesday. Nine visitors were temporarily trapped behind the rockfall. No one was injured. Zion’s Search and Rescue team, along with the help of the Grand Canyon helicopter crew, shorthauled the nine visitors safely out of canyon. Hidden Canyon Trail will remain closed for at least a week while staff monitor the area for additional slides. A crew from Utah Geological Survey (see photo) was on site to evaluate the situation. 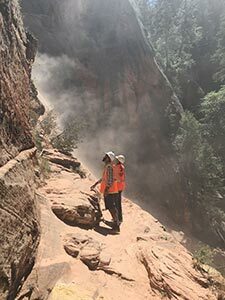 Due to damage from a July 11th storm, the following trails are closed until further notice: lower West Rim Trail including Angels Landing, Kayenta Trail, and Upper Emerald Pools Trail. August 27, 2018. 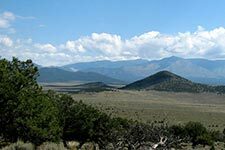 ALBUQUERQUE, N.M. — New Mexico’s U.S. senators, two of its three U.S. representatives, plus tribal, conservation and community leaders have gotten behind a bill that would strengthen the Antiquities Act of 1906. The enhanced Antiquities Act of 2018 would declare congressional support for monuments established by presidents of both parties since 1996. Specifically, it would prohibit any of the nation’s 51 national monuments from being reduced in size without an act of Congress, and also provide resources for managing newly established monuments. Susan Torres with the New Mexico Wildlife Federation said the current administration has demonstrated it is not friendly to public lands, and that’s why the legislation is needed. “So much of the bill focuses on cultural preservation and working with the inter-tribal coalitions to make sure that the sacred sites are protected,” Torres said. Pressure on Congress to strengthen the original Antiquities Act began building after President Donald Trump signed executive orders in 2017 that eliminated more than 2 million acres from two national monuments in Utah. The executive orders would open both monuments to extractive industries. The Trump administration has argued that monument designations currently include more land than is needed. The 2018 Antiquities Act would require that monuments receive protections to ensure that no new extraction claims and grazing allotments be allowed, while honoring existing claims in those areas. Torres said without improvements to the century-old law, New Mexico’s monuments will remain vulnerable. Organ Mountains and Rio Grande del Norte have so far escaped any reduction in size since the administration’s review of monuments. Torres said outdoor recreation generates nearly $10 billion a year in the state and is directly responsible for almost 100,000 jobs. Take an Additional 20% Off Fleece + up to 50% off when you shop brands like Patagonia, The North Face, Marmot, Mammut and Fjallraven at the Backcountry.com Labor Day Sale! Deals end 9/3! REI Labor Day Sale and Clearance, Save up to 40% + Save an Extra 20% on one outlet item. Use Coupon Code: EXTRA20 at rei.com! Deal ends 9/3! Savings on top of savings! Shop Clearance items at Sierra Trading Post! If you click on a product link in this email and purchase something from the vendor’s website, we get a small percentage of the sale price. This costs you nothing and helps us keep EXPLORE! The eMagazine for Adventure and Exploration going. Don’t want to buy anything? Consider becoming a Patron. Click the button to the right. You make EXPLORE! possible. Thank you for your support!! This week’s video features Rio Grande del Norte National Monument in New Mexico. When the video was created in 2012, Congress was considering designating it a National Conservation Area. Now, it is a National Monument created under the Antiquities Act of 1906. Enjoy! 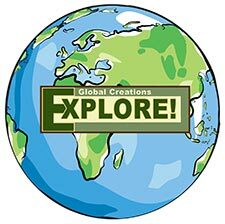 Global Creations EXPLORE! The eMagazine for Adventure and Exploration. 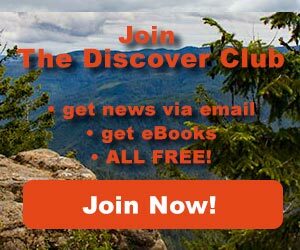 Join our Discover Club (free) to get these weekly newsletters via email on Fridays.